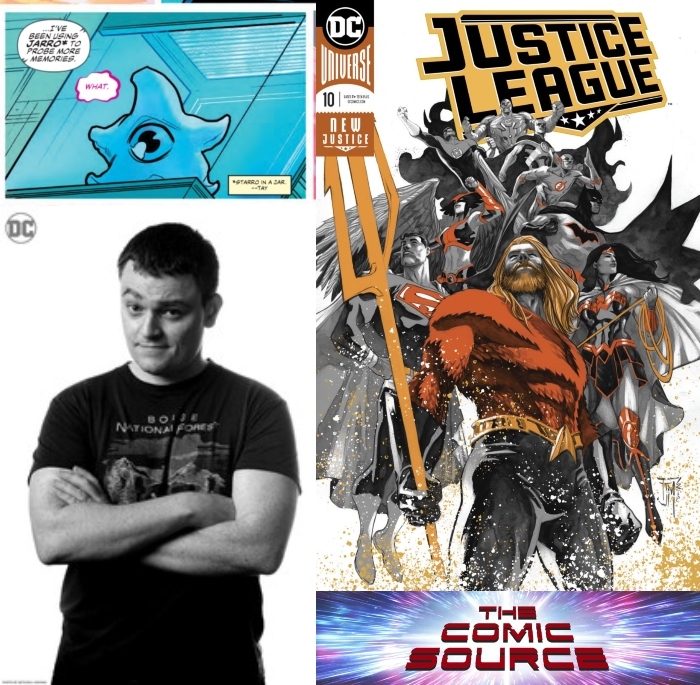 Jace chats with writer Scott Snyder about how personal the Justice League title and the stories he is telling within it are. Plus Scott drops some hints about what’s to come. Trust has been a big theme in your Justice League story so far, you and I have talked before that even with all the success you can struggle with doubt and trusting yourself, is that what your drawing from to tell this story? Should we expect to see the effects of what James is doing with Wonder Woman in The Witching Hour carry over into the main JL title, because it seems you all are really leaning into the magical aspect of the character? Let’s talk a bit about Drowned Earth, what can you tell our listeners? I love the idea of the fishbowl analogy you made when first talking about the source wall being broken, is this an extension of that? Space is often called the final frontier, but the truth of the matter is that there are vast parts of our own planet that are unexplored and we really have little idea what may be down there miles & miles below that surface. Have you thought about that at all when crafting this story? That you are mashing together the two big unknowns of human exploration? Will we expect to see you continue to examining the idea of trust in the upcoming Drowned Earth storyline?